Orlando, FL — Shuffield, Lowman & Wilson, P.A. recently announced the addition of veteran litigation attorneys Matt G. Firestone, joining as a partner, and James C. Washburn, joining as of counsel. 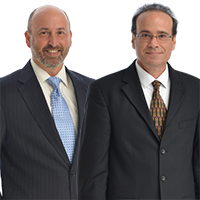 In addition, they bring with them two experienced litigation case managers to the firm, Marci Kunzig and Ken Gaudreau. Firestone has practiced commercial litigation in Central Florida since 1983. He handles all types of disputes, including real estate, contract and business related matters. He also represents more than 50 homeowner and condominium associations, including one which contains more than 3,000 dwelling units. Firestone has lectured for property management companies, for the Community Associations Institute, and for the Orange County Homeowners Association Alliance. He is a high honors graduate of the University of Florida with a B.S in accounting, and he holds his J.D., with honors, from Duke University. In addition, Firestone is a Florida Supreme Court Certified Circuit Court Mediator. Washburn is Board Certified by the Florida Bar as an expert in Construction Law, assisting those in the construction industry with contract drafting and negotiation, bid protests, scheduling and construction defect claims, default terminations, licensing issues and lien and bond disputes. He has represented public and private owners, design professionals, general contractors, Sureties, subcontractors and material suppliers. Washburn is a frequent lecturer and author on topics concerning the construction industry. He is a graduate of the University of Florida for both his under graduate and law school degrees. Shuffield, Lowman & Wilson, P.A.’s four downtown offices are located in Orlando, Tavares, DeLand and Daytona Beach. The firm is a 33 attorney, full service, business law firm, practicing in the areas of corporate law, estate planning, real estate and litigation. Specific areas include, tax law, securities, mergers and acquisitions, intellectual property, trademarks and copyrights; estate planning and probate, planning for families with closely held businesses, guardianship and elder law, tax controversy – Federal and State; non-profit organization law; banking and finance, land use and government law; commercial and civil litigation, bankruptcy and creditors’ rights, trust, probate and guardianship litigation; construction law, labor and employment, environmental law and mediation. Orlando, FL – Lynne R. Wilson and Scott A. Cookson, partners of the downtown Orlando law firm of ShuffieldLowman, were recently selected by their peers for inclusion in The Best Lawyers in America© (2015), as published in dozens of city and regional publications in the U.S. including, U.S. News & World Report. 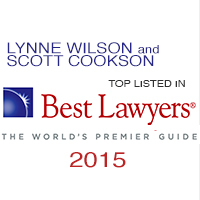 Wilson and Cookson are both named in the Real Estate Law section of Best Lawyers. Wilson is one of the original founders of ShuffieldLowman and an experienced attorney in all areas of commercial real estate transactions, commercial lending, banking and finance. Cookson is an experienced attorney in the areas of transactional, real estate, local government, land use, commercial leasing and escheat compliance law. Cookson presently serves as City Attorney for the City of Ocoee, Florida. Shuffield, Lowman & Wilson, P.A.’s four downtown offices are located in Orlando, Tavares, DeLand and Daytona Beach. The firm is a 33 attorney, full service, business law firm, practicing in the areas of corporate law, estate planning, real estate and litigation. Practice areas include, tax law, securities, mergers and acquisitions, intellectual property, trademarks and copyrights; estate planning and probate, planning for families with closely held businesses, guardianship and elder law, tax controversy– Federal and State; non-profit organization law; banking and finance, land use and government law; commercial and civil litigation, trust, probate and guardianship litigation, construction contract disputes, bankruptcy and creditors’ rights; labor and employment, and environmental law.